Ghost in the Shell. 2017, a somewhat disappointing 6.9 stars on IMDb. Starring Scarlett Johansson, Pilou Asbæk, Takeshi Kitano and directed by Rupert Sanders. Based on the acclaimed anime of the same name, Ghost in the Shell is visually stunning, a noir-esque mishmash of a daylit Blade Runner cityscape crossed with the action of The Matrix. 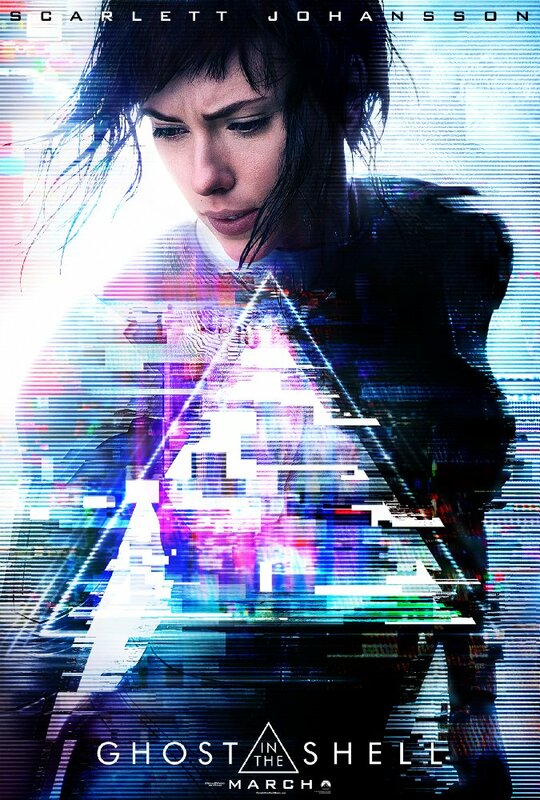 Scarlett Johansson’s Major is a brain in a cyborg body, put to work combatting terrorism as part of the elite Section 9 but soon delves deeper into the mystery of who she really is, who is the ghost? So, the action is gloriously choreographed, the special effects are absolutely top-notch, the supporting cast are, with few exceptions (the cockerney member of the team did grate a tad), splendid. Takeshi Kitano simply oozes cool as Aramaki, head of Section 9. Pilou Asbæk (Euron Greyjoy from Game of Thrones – I *knew* I recognised him!) is wonderful as Batou, Major’s sidekick of sorts and Michael Pitt is a convincing villian in Kuze. Weak point if any is the usually reliable but here woefully underused Juliette Binoche who is called on to do little other than stand by the Major, do some medical mumbo jumbo and look suitably angst-ridden. I was initially amused by how often someone mentions the word ‘ghost’ or, to a lesser extent ‘shell’, which got a bit much in the end. I saw Ghost in the Shell in 2D, but I could imagine that it would look glorious in full IMAX 3D. I might even be tempted to go find out. Overall, I give Ghost in the Shell 7 cyborg Scarletts out of ten. 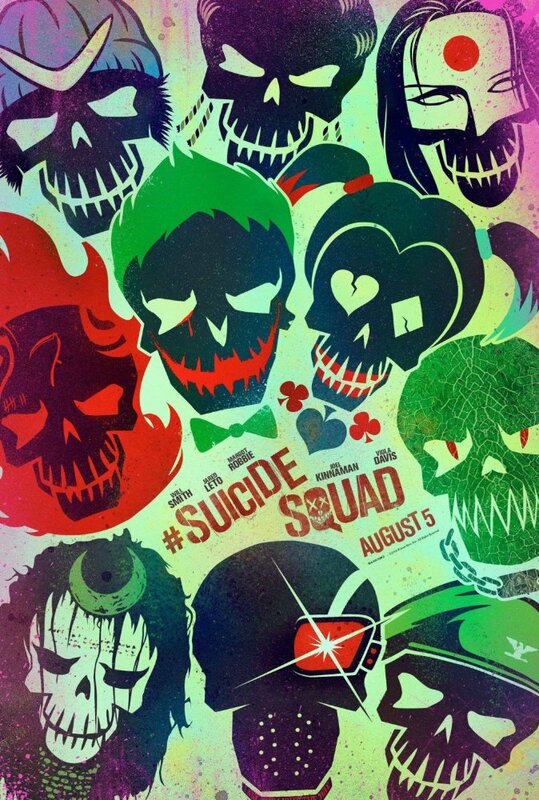 Definitely worth checking out on the big screen. So, April is done. My movie A-Z is over. I had a lot of fun writing it (and watching the movies). Our alphabetical journey through film took us from Alien (and its sequels) through to Zardoz (and *that* photo). Along the way we stopped off in the eighties for Ferris Bueller and The Breakfast Club. We dallied in old-school animation with Miyazaki and Howl’s Moving Castle before going more high-tech with Pixar’s Up and WALL-E and Jack Black’s turn as Po, the Kung Fu Panda. We caught fire with Katniss Everdeen in the second Hunger Games movie and talked Bond old and new – Connery’s Goldfinger (to counter his Zardoz), Brosnan’s GoldenEye and Daniel Craig’s Quantum of Solace – not as bad as people make out, especially if you consider it the second half of Casino Royale. Brosnan also gave us The Thomas Crown Affair, whilst Casino Royale’s Mads Mikkelsen turned up again as the mute Viking warrior One-Eye in the acid trip that is Valhalla Rising. We journeyed into space, firstly for the big budget blockbuster The Empire Strikes Back (a thinly-veiled cover for me to wax lyrical about Star Wars) to the smaller films: Pitch Black and Moon. We got to Moon from Labyrinth, featuring Moon’s director’s dad in some splendidly scene-stealing trousers. Speaking of scene-stealing trousers, Burt Reynolds’ jeans in Smokey and the Bandit could give Jareth’s a run for their money any day of the week. Throw in Bob Peck’s thighs in Jurassic Park and you’ve got quite the party. Something you’d only see in a cheese-induced dream, which leads us nicely onto Inception. Back to reality with a bump (and a claw hammer) for Oldboy and The Raid, two superb examples of their genre. The action turned more Hollywood for National Treasure (featuring GoldenEye’s Sean Bean) and Die Hard (which had the Breakfast Club’s Mister Vernon). See? I did try and link this lot together! Some letters were harder than others. X was only ever going to be The X-Files or X-Men. This time it was the former. Next time, the latter? We finished with some laughs, courtesy of Mel Brooks’ Young Frankenstein. And, of course, Mister Connery. That photo always raises a smile. Oh, go on then. Here it is again. That was my A-Z. I know I missed out a ton of really great films, and had some brilliant suggestions along the way via Twitter and in the comments. I may turn this into a regular thing. What do you think? From the very first moment I decided to make the A-Z challenge movie-related, I knew what my Z film would be. 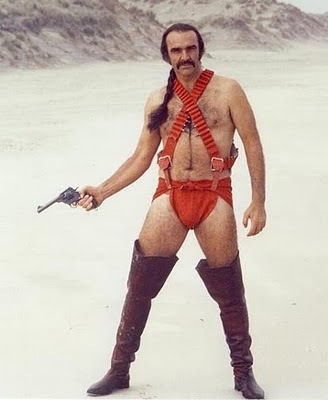 Z is for Zardoz. 1974, and a mere 5.8 stars on IMDb. 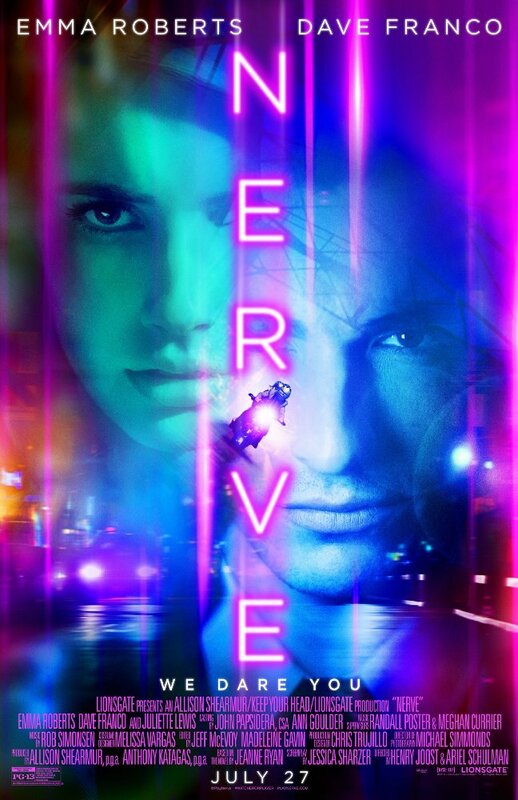 John Boorman’s next movie from the utterly brilliant Deliverance. I have no intention of reviewing this film. Never had. Instead, I shall present you with a photo. One which, once seen, cannot be unseen. I hope you enjoyed my movie A-Z. It’s been a lot of fun – I think I’ll throw more movie posts into the mix more often! Mel Brooks on fine form. Anyway. Dr. Frederick Frankenstein (Gene Wilder) (“No, it’s pronounced “Fronkensteen“) inherits his great-grandfather’s castle in Transylvania. His grandfather being the famous Dr. Victor von Frankenstein, of course. Frederick decides to resume his grandfather’s experiments in re-animating the dead, with the help of Igor (Marty Feldman). 1998 and a paltry 6.9 stars on IMDb. Mulder: How many times have we been here before, Scully? Right here. So close to the truth and now with what we’ve seen and what we know to be right back at the beginning with nothing. Set between the end of season 5 and the start of season 6 of the X-Files tv show, the movie was quite an event for a long-time fan such as myself. I’d followed the adventures of Mulder & Scully for years, eagerly discussing the previous night’s episode with friends at work. The movie was good fun, though felt rather too much like an extended episode of the show. Mulder and Scully traded dialogue playfully. There was the usual gubbins about extraterrestrial plots and shadowy government conspiracies. Our heroes have been bumped from the X-Files and are investigating a bomb threat against a government building in Dallas. Mulder discovers the bomb in an adjoining building. Mulder: Thirteen fifty-four. Thirteen fifty-two. Thirteen fifty. You see a pattern emerging here, Scully? Hijinks ensue. There are swarms of bees, black helicopters, The Lone Gunmen (yay!) and, of course, our old chum, the Cigarette-Smoking Man. The X-Team turn up in Antarctica for reasons I’m not entirely clear on (it’s been a while since I watched it!) and in the end, there’s a hearing where they’re ignored (as per usual) and stuff gets covered up. All in all, a big long episode. Which is what we wanted anyway. Wasn’t it?